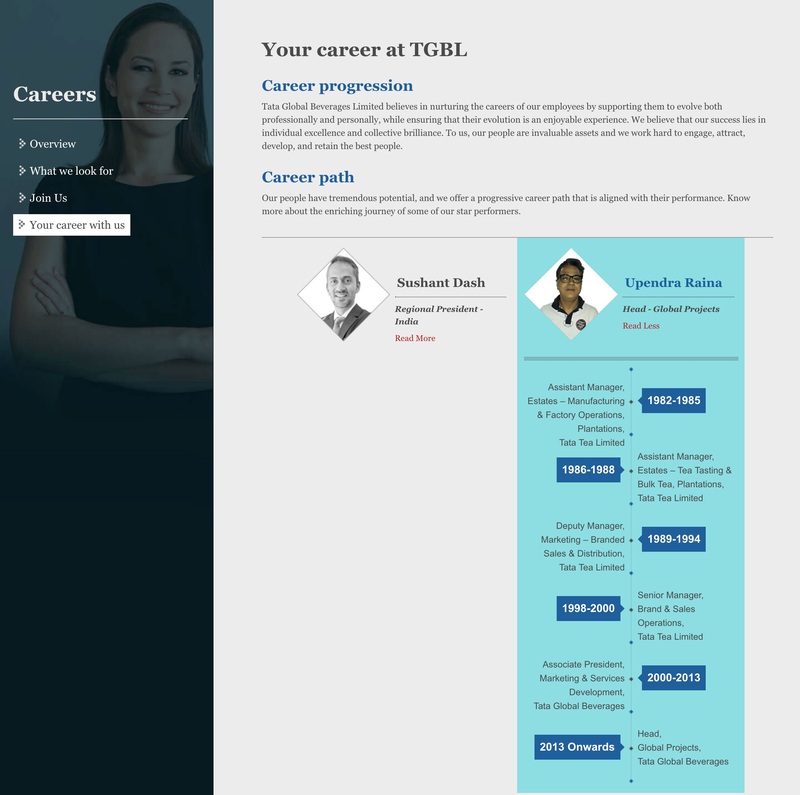 Looking for some new career site ideas? Here are 5 we found recently that we had never seen before (at least not with this execution). Enjoy! Stack Overlay, a software community, is transparent about how much money you’ll make with them. They offer up a Salary Calculator (check it out here or look at the below screenshot). 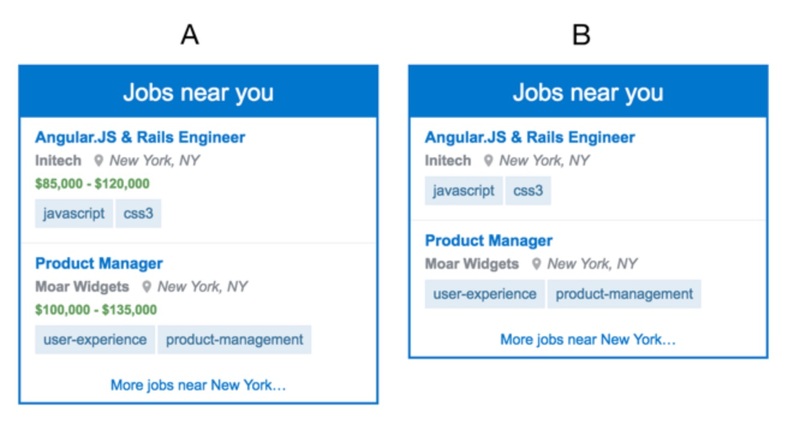 Stack also did an A/B split test (example below) including the salary range they offer in their job listings (A) versus not including them (B). Job listings that included salary info saw a 60% increase in click-through rate when the salary range was below $100K and a 100% increase in clicks for jobs with salaries above $100K. 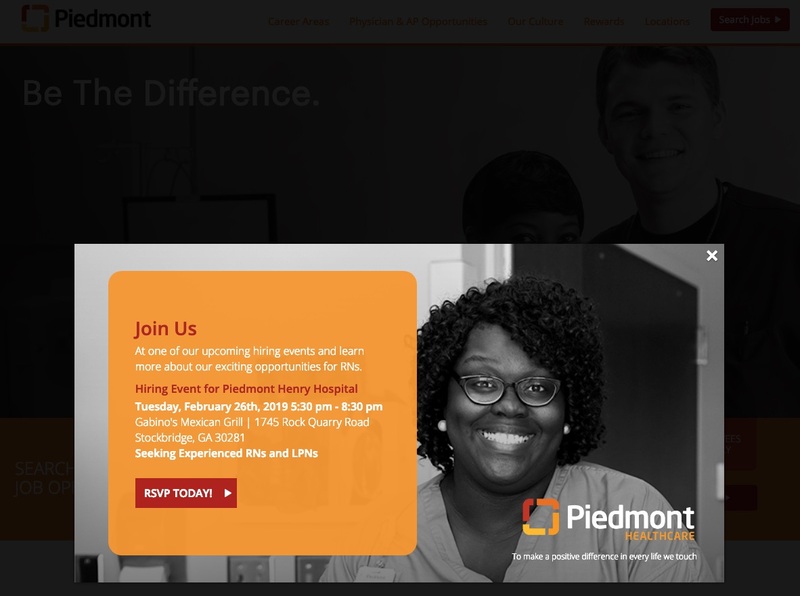 When you go to Piedmont Healthcare’s career site, you get this automatic pop-up for an upcoming hiring event. 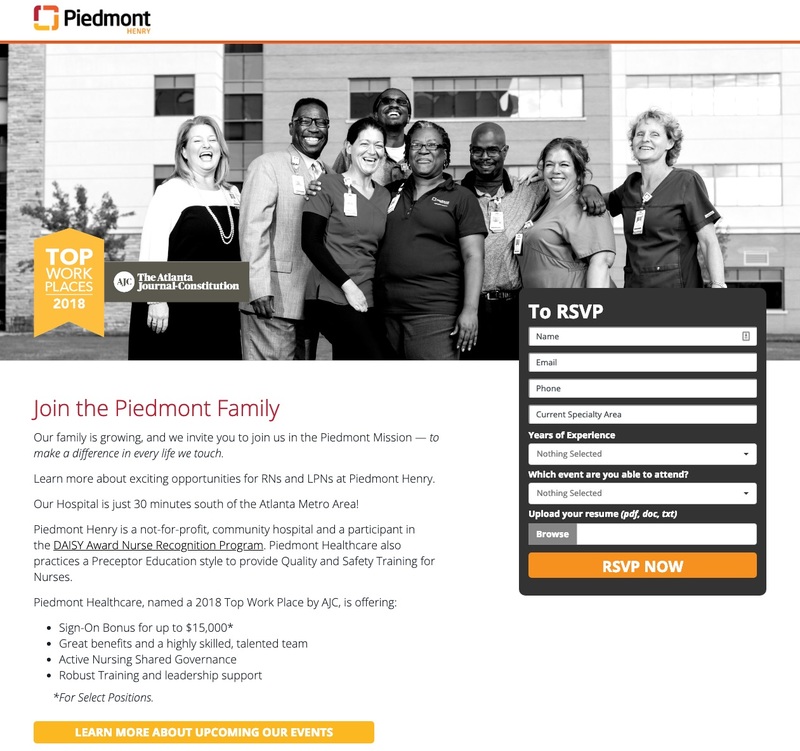 This type of push-marketing from a career site can be effective at capturing RSVPs/candidate emails. Tata Global Beverages shows 2 examples of a real-life employee’s career path/ Talk about showing a candidate journey! Are you global. 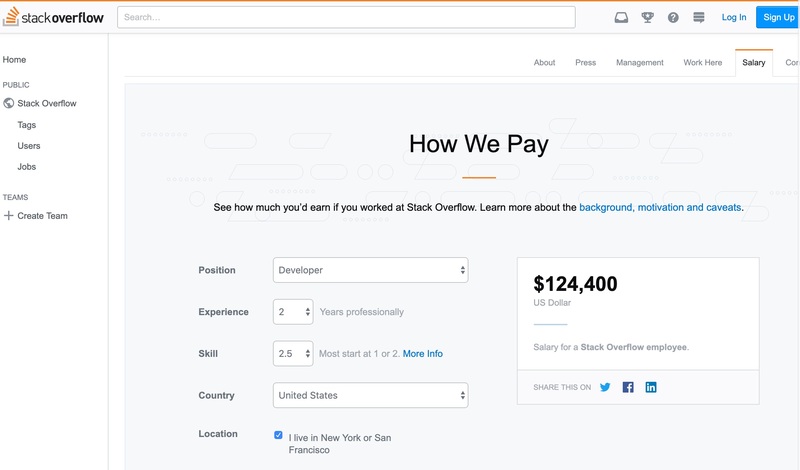 Stripe has a great way to show it off on their careers site. They give a simple but powerful visual cue on something just about every candidate sees: job search results. They include an icon of a map that they put next to the city. This visual cue immediately shows how global they are in colorful fashion. Nice! Ongig’s job content marketing software powers your candidate journey on your career site. We’re always looking for ways to help you stand out. 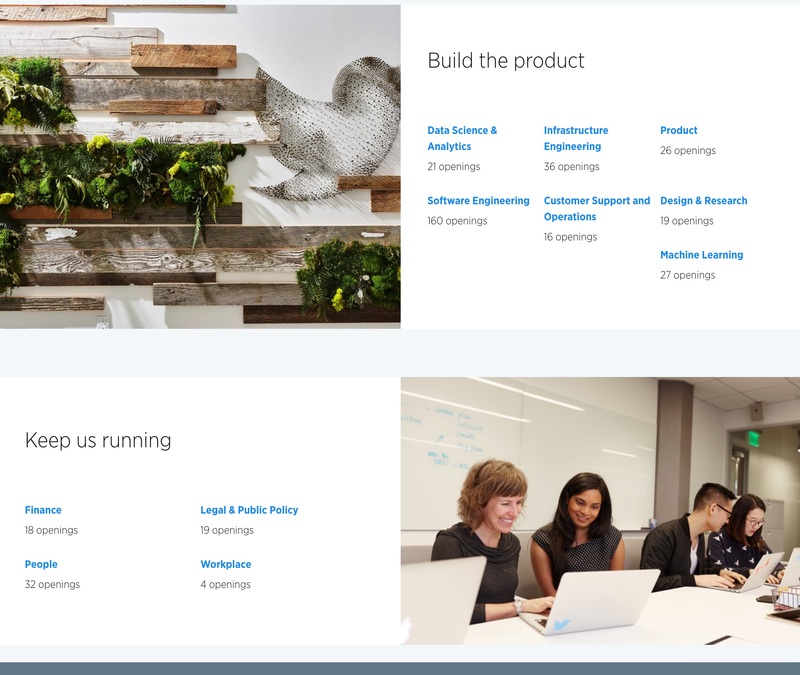 Remember to check out our “Creating a New Company Career Site: The Definitive Guide” for our FREE 7-step process for building a career site.